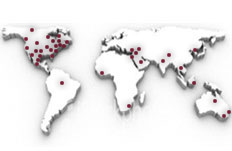 Our WISE wheel profile system stands at the core of IEM’s WISE™ wheel inspection systems. This advanced machine vision technology has emerged from more than 15 years of research & development activity and is subject to several US and foreign patents. Based upon IEM’s patented TrueProfile™ technology, the Wheel Profile system incorporates multiple-line lasers and high-speed cameras for measuring large segments of the wheel with advanced non-contact, machine vision technology. 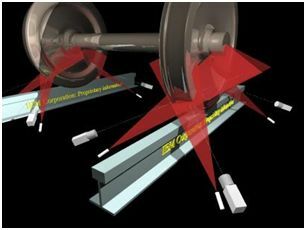 Laser-based technology provides the highest level of accuracy and repeatability for railway wheel measurements on moving trainsets at both low and high speeds. This approach provides multiple measurements on the wheel and meets the basic AAR criteria for the minimum of three measurements. IEM’s TrueProfile™ technology generates a computer model of each wheel, then computes the measurements for flange thickness, flange height, rim thickness, flange angle, diameter, and back-to-back reading. WISE Wheel Profile may be packaged for use in either of IEM WISE™ wheel inspection system and can be configured for extreme accuracy when placed on a custom designed foundation or for accurate, but more expedient deployment, using one of IEM’s current instrument tie box approaches. The tie-box version of WISE Wheel Profile may be installed in a few hours with little more required than removal of one or two ties from beneath the track.